Ready for the weekend? I hope you have something good planned? I had a heavy weekend last week partying. A friend of mine is getting married and so I attended her Hen do. Hen do’s at our age?!! Why not?!! It was good to catch up with friends that I hadn’t seen for ages. This weekend I’m hoping to get out in the garden and get my hands dirty. A chilled weekend hopefully. This is just a bits and pieces post. Stuff that I’ve been wanting to share the past month or so. And what special offers are available out there if your shopping this weekend. My readers on the social media sites have really been enjoying these. You have to be quick though because some items sell out really fast. There’s already a couple of items sold out! My favourite item on the board has to be the Espadrille Black sandals from F&F. I recently purchased this pair below. I forgot how extremely comfortable they are! I wore them in my Neutrals post here and I’m tempted to get the black ones. Looking for some colour inspiration? Have you ever looked at Pamela Graham’s website? I have been lucky enough to be featured a couple of times in the new book that’s been published. I’m quite confident in knowing what colours suit me and which one’s that don’t but if you’re looking to educate yourself on which colours to suit you most take a look at Pamela’s website The site is so full of inspiration and well worth a look. There’s another lady that I want to mention that has just published a book too. Huge congratulations to Suzy Turner for writing this. I do like to relax in between blogging and sit myself down and read a girly book. I’d love some advice on how Suzy manages to fit everything into her busy routine. Style blogging and writing books! 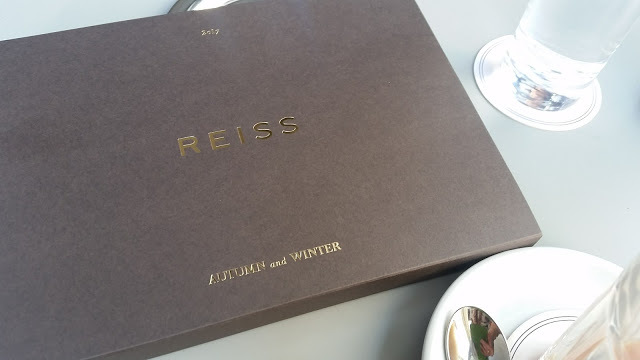 I was delighted to attend the Reiss AW17 press event earlier in the week. I can’t tell you how gorgeous it all was. Lots of gorgeousness to come from Reiss, a high-end high street brand that I dribble over from time to time. A bit pricey for me although for a special occasion I would definitely shop there, but I do like to shop their sales! I’m trying to get out of my jumpers at the moment and I’m sure you are too, so I will be sharing what’s going to become available for winter later. There is 10% off all online orders though if you wish to have a nose here I will keep you posted when they have a sale on. That’s it from me. I will leave you with some special offers. I hope you have a great weekend! An Outfit For £67 Including The Boots! Next Post M&Co – The Perfect Lightweight Coat For Classic UK Weather! Loving the 10 under 20 feature – what fab bargains! Awww Your wedges are so cute, great price! I sure wish I could wear even a bit of a heel, my back wont allow me to anymore. Thanks for sharing your blog on #OMHGFF this week! Love those wedges! And with those wide leg pants it's perfect! I've recently rediscovered wedges and love them! Love your feature of sharing about Ten under Twenty. Love your wedges Laurie, great colour that will go with everything 🙂 Thanks for sharing at Creative Mondays. OMG I can't believe you mentioned me, Laurie! Thank you! I've been really late catching up on my favourite blogs this week… I have been busy studying more yoga. I chuckled when you said you don't know how I do it – but the fact is, I don't have a day job per se. I write about two of three books a year, teach a little bit of yoga (I'm still just teaching my pals for free until I feel ready to start advertising), write blog posts once or twice a week, and then spend most of my time online reading about how to be successful LOL! However, I'm super excited at the moment because I think I've finally found my yoga niche – which is why I'm studying at the moment!! Well, which is why I'm supposed to be studying lol! Thanks again for the mention, sweetie. You really are the best! Love this post and your fashion choices. Thank you for linking up at the #BloggingGrandmothersLinkParty. I shared this post. I love the sandals you are wearing Laurie and glad to read how comfortable they are to wear. It is great to have you join us at #blogginggrandmotherslinkparty. See you at the next one. Nice choices. Thank you Laurie for linking up at the #BloggingGrandmothersLinkParty. I shared this post. Yes, thanks for linking up at #BloggingGrandmothersLinkParty. I am also sharing this post on social media. I love your "10 under 20" picks. Very inspiring! Cute and thrifty, too! Thank you for sharing at #BloggingGrandmothersLinkParty. I'm sharing your post on social media. Lovely espadrilles…I have some similar to those but I put them away at the end of last summer and can't find them now! I love the stripe top with the flared sleeves. Isn't it gorgeous. Sold out quick though! Stopping by from Happiness is Homemade link up. I love the espadrilles as well. You've made some good picks. This shoes are amazing Laurie! Sorry! I was replying to Amy and it jumped into your box Jacqui! Hence the deleted reply! Sounds like you enjoyed the hen party. I'm invited to one next Saturday for a 30 something. At the time of the invite, I declined citing my age. I just don't have the stamina these days. The hen emailed last night asking me to change my mind. Reading your post, I feel I may have to! A hen night sounds fun. You haven't posted what you wore! Those black espadrilles look pretty. I agree with the comments. Is it sad to say I think they're a bit high for me and my dodgy back. I think it's sad. Actually Anna I wore the outfit from the Five Over 50 challenge!! A bit boring for you to see that so soon again! All I can say is …… get the black ones Laurie because those are gorgeous. They look super comfortable and so wearable. So many great deals and pieces! The black espadrilles immediately caught my eye. I have a pair of neutral espadrilles similar to yours and have been wearing them quite a bit this spring. I love those wedges! And the neural tone is perfect for the season! I do love my spring shoes, Laurie!! They get me right in the mood for warmer weather!! Thank you Sarah. Who doesn't love a bargain? !! Your wedges look great and the cost of £16 is even better! Pamela Graham is doing my colours as we speak, I have had different assessments over the years and am a bit confused about my colour choices. My mum featured in one of her books!